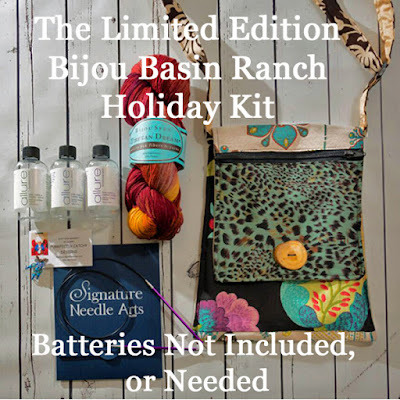 Bijou Basin Ranch: Treat Yo' Self to our Newest Project Kit! 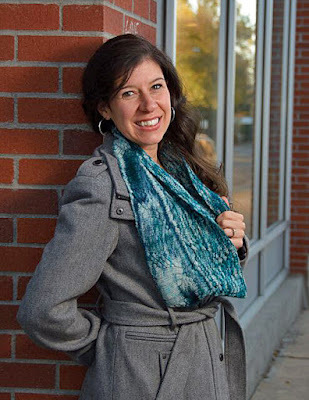 We're pretty excited about our limited edition holiday project kit: the Odyssey Cowl by Laura Chau is a gorgeous cowl which can be knit in two sizes using either 1 or 2 skeins of our luxurious Tibetan Dream sock yarn. The Odyssey Cowl features traveling cables which allow the ribbing to compress and expand, trapping air to keep you cuddly soft & warm; the two-skein version turns this cowl into a gorgeous and functional infinity scarf! 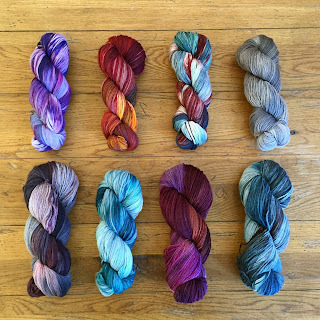 Each kit includes your choice of 1 or 2 skeins of Tibetan Dream Yarn that is hand-dyed by Miss Babs. Choose from the following colorways: Bistro, Berry Pie, Canyon Lands, Raisinette, Rapids, River Bed, Sangria and Sriracha. However, this kit is much more than a fabulous pattern and some gorgeous skeins of hand-dyed yarn: we've also included a pair of top-notch circular needles from Signature Needle Arts, some Purrfectly Catchy Designs stitch markers, and an Allure Sampler Pack, all packaged in a custom-made project bag from St. Clair Designs which is made especially for this kit! Click here to view more details in our online store. Put it on your wish list, or gift yourself right now. Either way, we hope you'll remember to treat yo' self this holiday season!